GODS MASTER PLAN - What is Gods Master Plan? 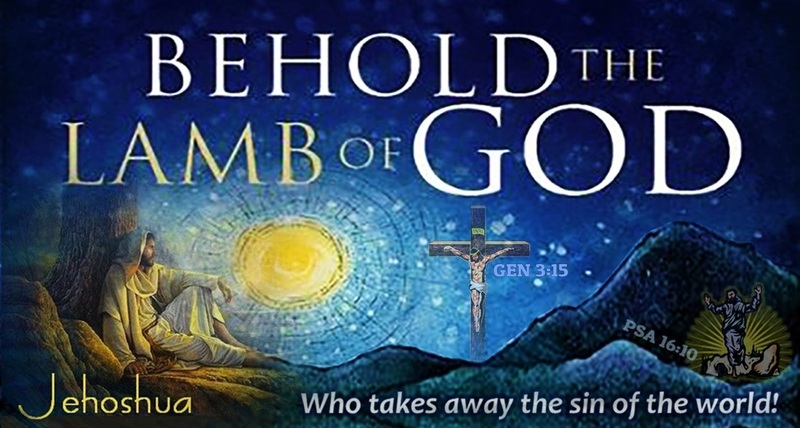 How & Why is Jesus Called The Lamb Who Was Slain Before The World Began? ﻿﻿﻿﻿﻿﻿﻿﻿GMP BASICS AND THE BIBLE﻿﻿﻿﻿﻿:﻿﻿﻿﻿﻿ First, have Bible in hand as you study ﻿GMP﻿ to ﻿verify all verses listed﻿ herein! So, what is ﻿GMP﻿? 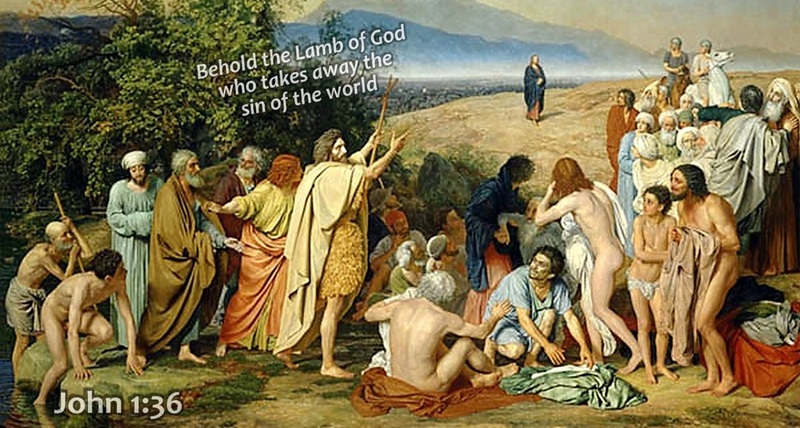 In a nutshell, biblically speaking, God's Master Plan is none other than Jesus Christ, the Lamb who came from God to take away the sin of the world. From these following verses, (Joh 1:29 • Rev 13:8 • 1Pe 1:20) we can ascertain that God had a plan long before man was created. Our Creator (Father/Son/Holy-Spirit), planned before the world began, to send His only begotten Son to be slain for our sin, meaning; He knew man would fall/rebel against Him! The Bible says, God knows the end from the beginning of all things - (Isa 46:10). Because God knows the end from the beginning of all things, that’s why Jesus is called, ﻿the Lamb Of God, who was slain before the foundation of the world﻿. 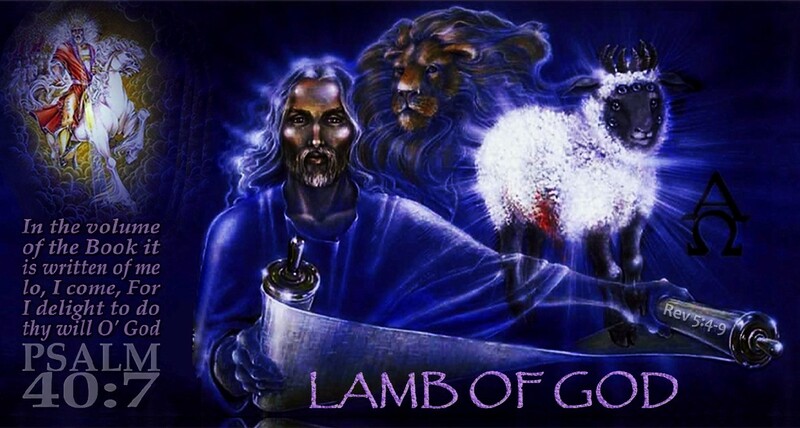 But what exactly does this phrase and title, ﻿LAMB OF GOD﻿ mean? What rather odd statements found within the pages of scripture; "﻿﻿The Lamb slain before the foundation of the world﻿﻿" -(Rev 13:8) ...and... "Who verily was foreordained before the foundation of the world﻿" -(1Pet 1:20).﻿ When John the Baptist introduced Jesus to the people of Israel for the first time, John called Jesus, the LAMB FROM GOD who takes away the sin of the world. About 3-1/2 yrs later, Jesus was crucified as that sacrificial lamb, the Just for the unjust. So, if Jesus was slain over 2,000-yrs ago, how is it then, that Jesus was the LAMB THAT WAS SLAIN BEFORE the foundation of the world? Here's how! 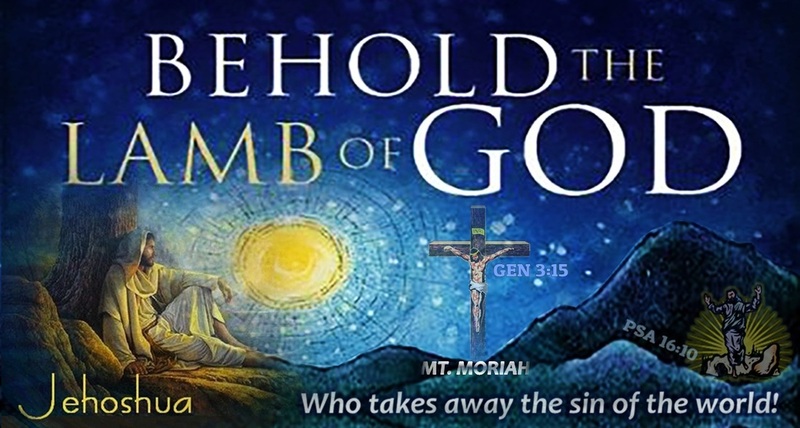 Jesus was that LAMB OF GOD, who came from the Father, who was foreordained before time began. 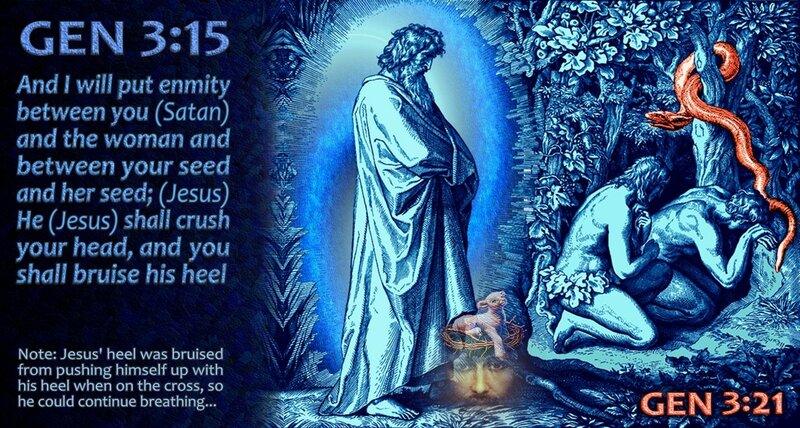 Jesus purposed in His heart to die for our sins, then later prophesied to Adam/Eve of God's Master Plan, which was, is and always will be: ﻿﻿The PROMISED SEED OF EVE﻿﻿ (﻿﻿﻿﻿Gen 3:15﻿﻿﻿﻿﻿﻿), who is Jesus the Lamb of God, slain before time began﻿﻿﻿. Since Jesus is God and cannot lie, ﻿His promise﻿ (﻿﻿﻿Gen 3:15﻿﻿﻿) to Adam/Eve to be that sacrificial Lamb, was sure to come! When Adam and Eve fell into sin, what was the first thing God did? He confronted them and then provided Animal skins for their nakedness. God slew an animal right in front of Adam, Eve and the devil himself -(Gen 3:21). 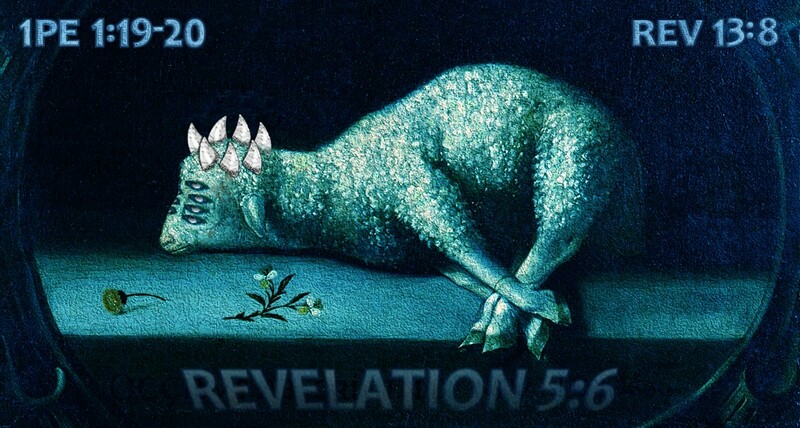 Although scripture does not say this slain animal was a Lamb, scripture strongly hints and clearly alludes to such animal being a Lamb. How so? After Adam and Eve had 2-sons, they both offered sacrifices unto God. Where did they learn such sacrifices? Evidently, from Adam and Eve who learned it from God, who sacrificed an animal before their very eyes! Abel offered a lamb unto God, whereas one-day, his brother Cain offered fruits and vegetables, the work of his own hands, instead of a lamb, but God rejected Cain's sacrifice, accepting Abel's sacrifice instead -(Gen 4:5 ﻿•﻿ Heb 11:4). Why? Was God playing favorites? No, not at all... Because our creator Jesus would one day, be slain as the THE LAMB FROM GOD for our sins. Such animal sacrifices were a reminder to mankind, that one-day, our creator would redeem us by taking upon Himself, the punishment we deserve, so that we would not bear His wrath and avoid eternal torment. 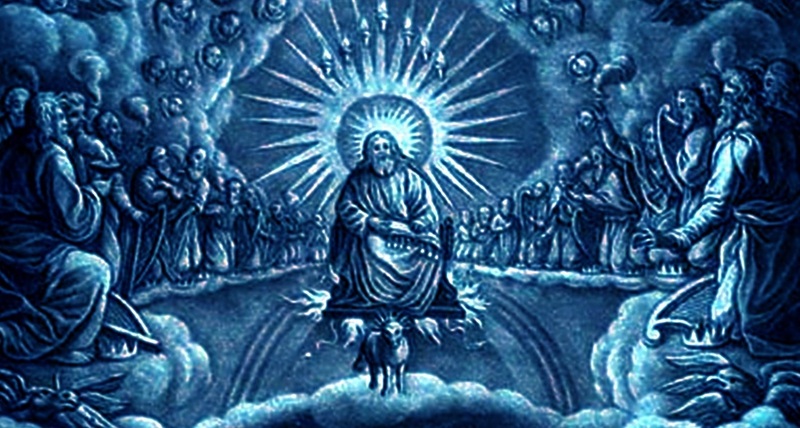 I am betting, that that first animal which was slain by God and recorded in Gen, was most assuredly, a lamb, which was symbolic of... ﻿THE LAMB OF GOD WHO WAS SLAIN BEFORE TIME BEGAN﻿. Hence, the Father, Jesus and Holy Spirit PLANNED to provide for the salvation of mankind, which brings us to our next conclusion; God must have known the end from the beginning and the sinful choices man would make, since men were created as free-will agents. 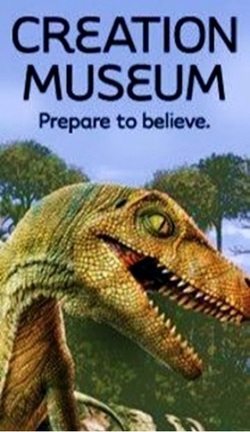 Finally, we can only conclude that God had/has a detailed ﻿Master Plan﻿ and such Plan can be discovered within the pages of scripture and verified by history. Please read our ﻿Q&A Pages to get the rest of these amazing facts and specific details surrounding that Divine Number 7, which reveals ﻿God's﻿ wonderful ﻿﻿Master Plan, within scripture! DONATIONS ACCEPTED:﻿﻿ We would greatly appreciate your donations or purchase of GMP and/or other literature to support our ministry! Together, we can help share the full past, present and future Gospel of Jesus Christ to all generations. By being a partner, donor or fellow co-laborer in this ﻿GMP﻿ ministry, together, we can fulfill the great commission of making disciples in all the world via ﻿GMP﻿. Finally, please pray for us and this ministry!